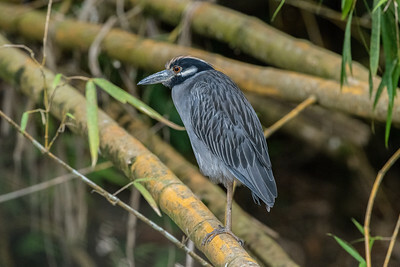 While not as slender as a typical heron, the Yellow-crowned Night-Heron’s smooth purple-gray colors, sharp black-and-white face, and long yellow plumes lend it a touch of elegance. 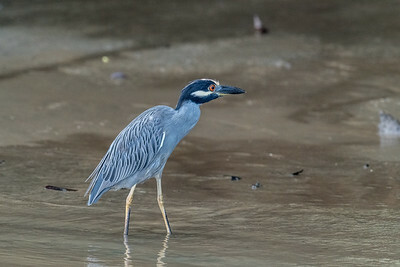 They forage at all hours of the day and night, stalking crustaceans in shallow wetlands and wet fields. 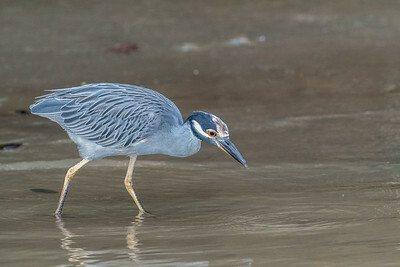 Their diet leans heavily on crabs and crayfish, which they catch with a lunge and shake apart, or swallow whole. 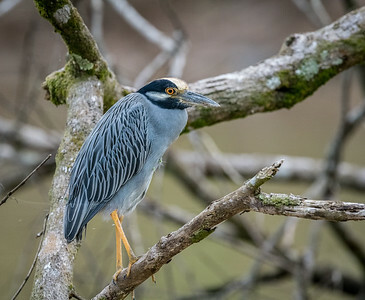 They’re most common in coastal marshes, barrier islands, and mangroves, but their range extends inland as far as the Midwest. 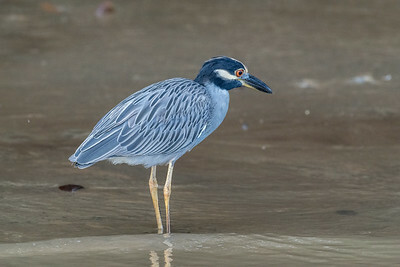 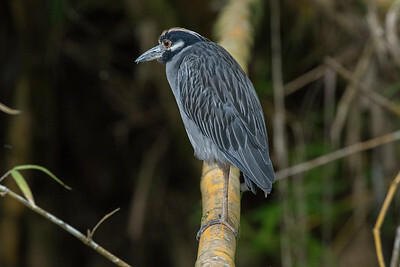 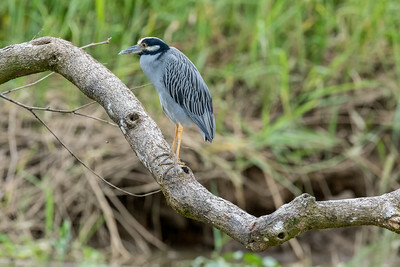 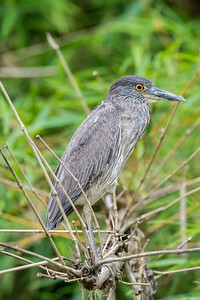 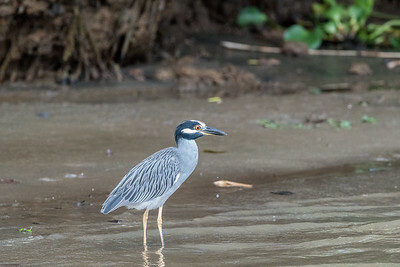 Yellow-crowned Night Heron (Nyctanassa violacea) at Sierpe river Costa Rica. 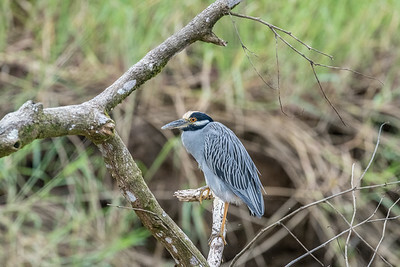 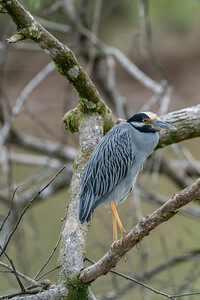 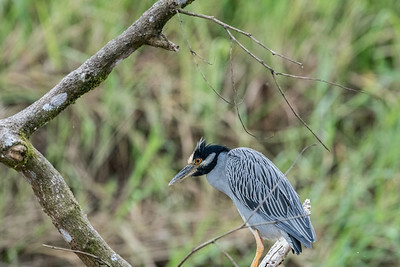 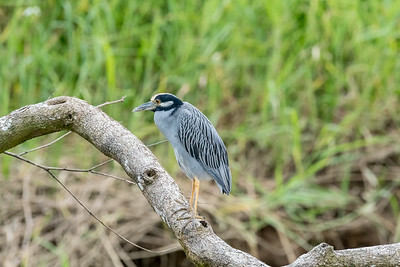 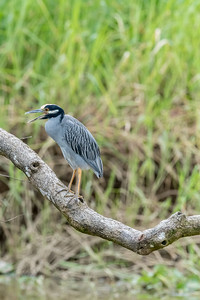 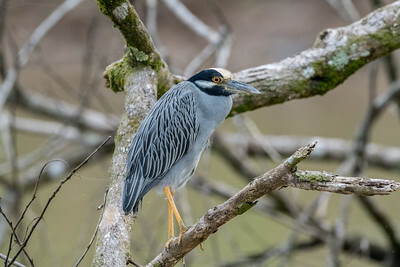 The Yellow-crowned Night-Heron is a crustacean-feeding specialist whose diet consists mostly of crabs in coastal areas and crayfish in inland areas. 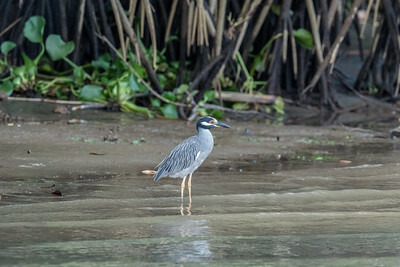 Therefore, wetland conditions are especially important, particularly inland.